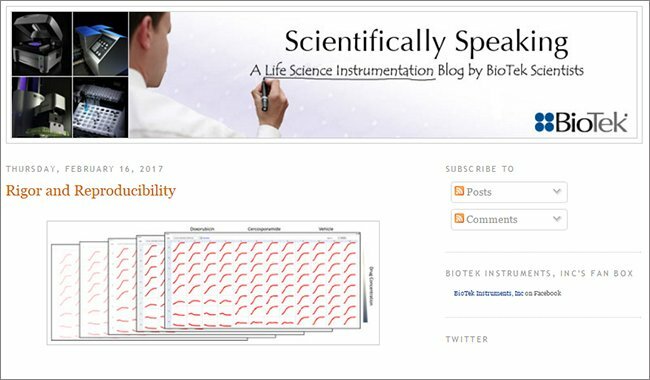 Kinetic cell proliferation assays enable quantitative analysis of cell viability and growth rates and are a powerful tool for evaluating cellular response to drug treatment. 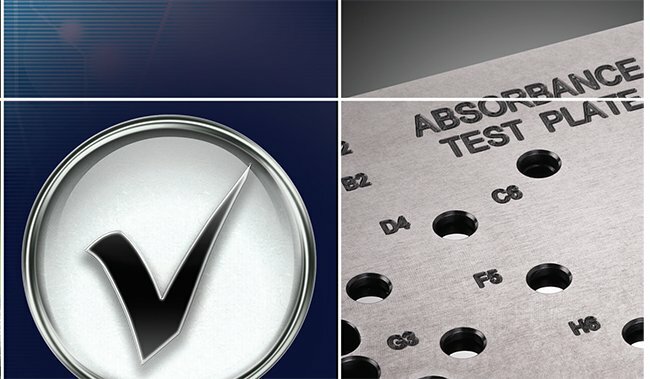 Conventional methods rely on either indirect biochemical measurements or the use of fluorescent labels. 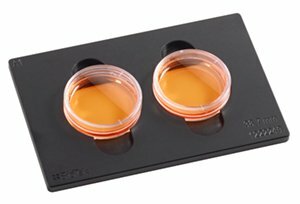 Alternatively, high contrast brightfield cell counting provides a direct and label-free method for measuring cell population size. 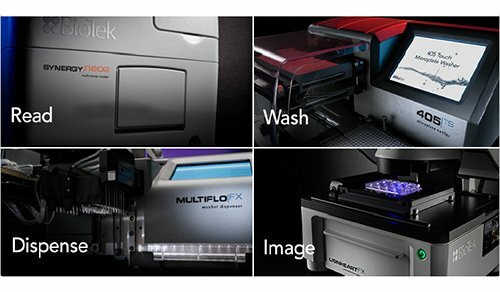 Combining the high contrast brightfield imaging capabilities of the Cytation™ 5 Cell Imaging Multi-Mode Reader with the BioSpa™ 8 Automated Incubator enables convenient and robust long-term kinetic cell proliferation studies. 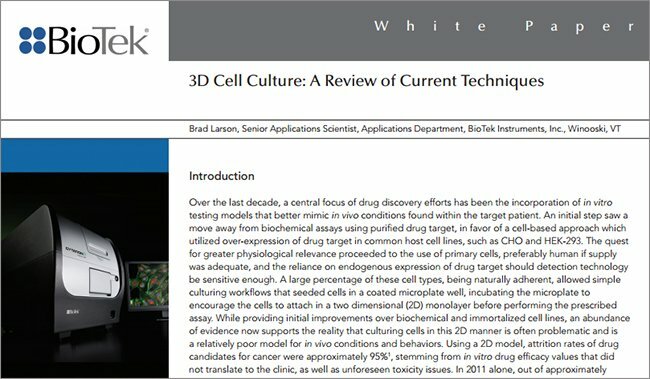 Characterizing cell proliferation is a crucial aspect of biological research and therapeutic drug development. 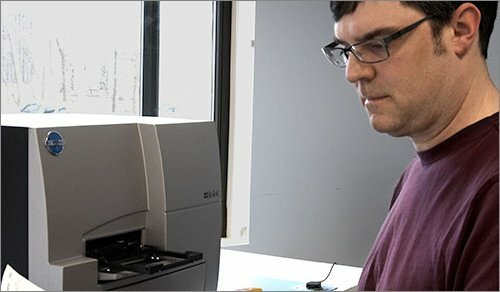 Most current cell proliferation assays rely on indirect biochemical metrics that are limited by artifacts or imaging-based end point measures. 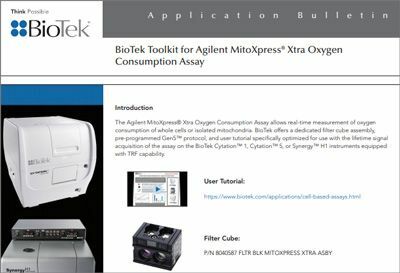 Here we describe a continuous livecell assay for determining cell proliferation profiles using the BioSpa™ 8 Automated Incubator and Cytation™ 5 Cell Imaging Multi-Mode Reader with the High Contrast Brightfield kit. 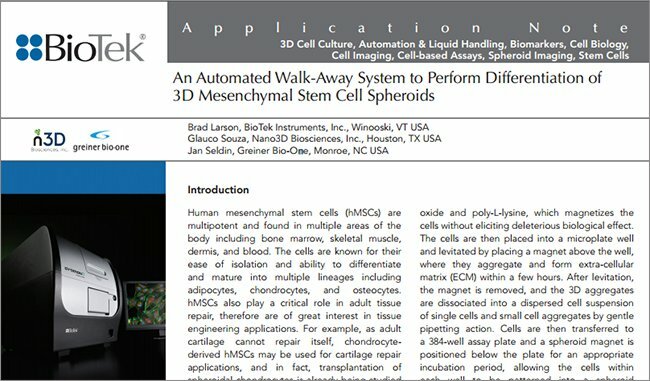 This fully automated method enables accurate quantitative and phenotypic long-term analysis of cell growth using label-free direct cell counting. The High Contrast Brightfield kit causes refraction of light by each cell to produce a bright spot, enabling accurate cell counting without the need for nuclear staining (Figure 1). High contrast brightfield cell counts are comparable to counts achieved using nuclear dyes, such as Hoechst and DAPI (Figure 2), while enabling long-term proliferation studies. Figure 1. 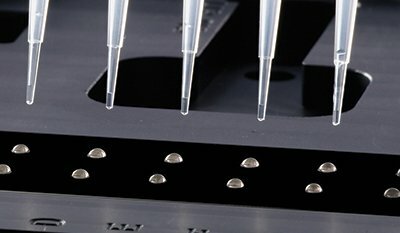 High contrast brightfield direct cell counting. (A) In focus image of NIH3T3 cells. (B) Defocused image produces a single bright spot corresponding to each cell. 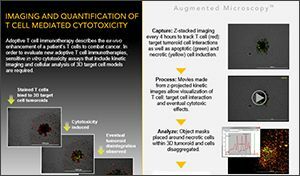 (C) Gen 5 object masking tool can readily identify each bright spot to generate cell counts. Figure 2. Comparison of high contrast brightfield label-free cell counting to cell counts using Hoechst labeled nuclei. Cell counts of Hoechst stained NIH3T3 cells from the two techniques were highly comparable across a wide range of seeding densities. Points were fitted to a nonlinear regression equation with an R2 value of 0.99 and a slope of 0.97. NIH3T3, HCT116, and HeLa cell growth was monitored for five days. All three cell types exhibited robust logarithmic growth up to full confluence. 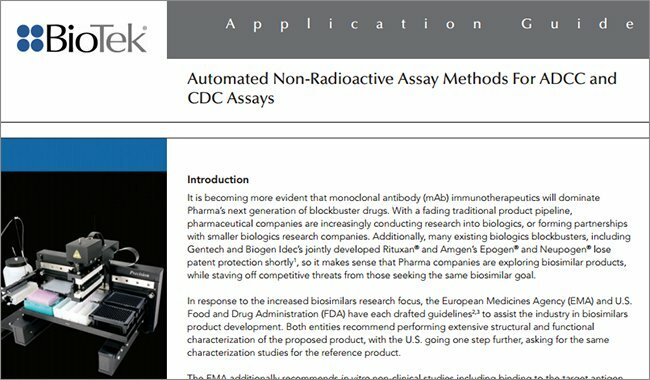 To demonstrate the ability of this system to screen pharmacological agents, cell proliferation profiles for cells cultured with eight concentrations of two anti-cancer drugs were generated. Concentration- response curves and IC50 values were used to quantify anti-proliferation effects for each cell type. NIH3T3 and HeLa cells were grown in Advanced Dulbecco’s Modified Eagle’s Medium (DMEM) (Gibco, Grand Island, NY) with 10% FBS (Gibco), and 1x PenStrep-Glutamine (Cellgro, Manassas, VA). HCT116 cells were grown in McCoys 5A medium (Gibco) with 10% FBS, and 1x PenStrep-Glutamine. 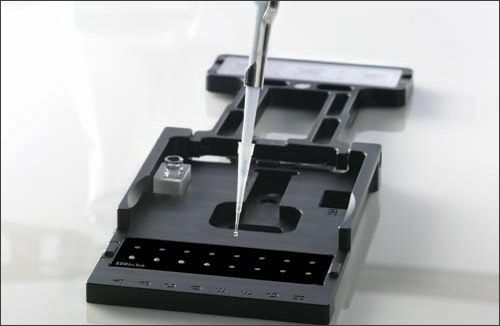 Cells were seeded into black sided clear bottom 96-well microplates (Corning, Corning, NY) at 2000 cells per well. 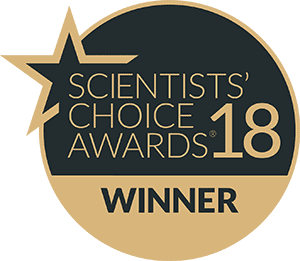 Environmental conditions, including temperature (37 °C), gas (5% CO2) and humidity (90%) were maintained during the five day incubation by a BioSpa™ 8 Automated Incubator (BioTek Instruments, Winooski, VT). 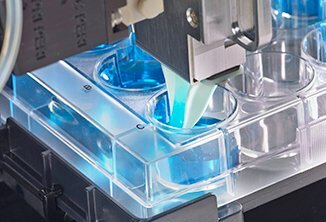 Cell culture plates were transferred by the BioSpa 8 to a Cytation™ 5 Cell Imaging Multi-Mode Reader (BioTek Instruments, Winooski, VT) every two hours. 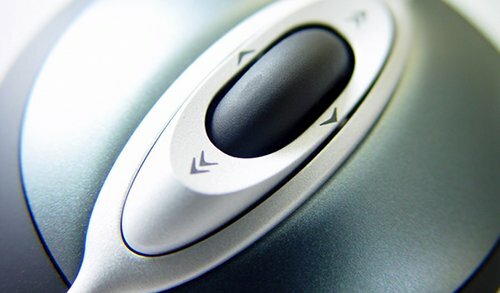 Environmental conditions were maintained at 37 ºC and 5% CO2 within the Cytation 5 throughout the imaging steps. 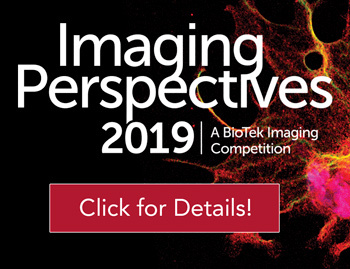 Two high contrast brightfield images were captured at each time point: an in focus image used for reference, and a defocused image for cell counting. Briefly, cells were brought into focus using the High Contrast Brightfield kit and the “in focus” focal height recorded. The View Line Profile tool was then used to draw a line that crossed cells and background sections of the imaging field without cells present. 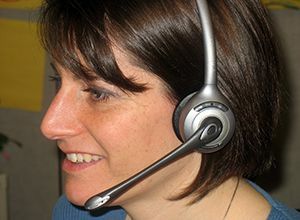 The focal height was then decreased while observing the line profile to determine the focal height at which maximum contrast between cell and background brightness was achieved. Image preprocessing was used to obtain the best possible enhancement of contrast, reducing each cell to a single bright spot. Object masking thresholds were then set to identify each cell for counting (Table 1). Table 1. 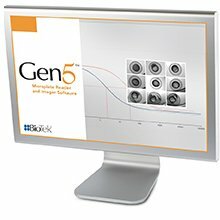 Gen 5 Image Analysis software setting. Image preprocessing improves contrast reduces background. 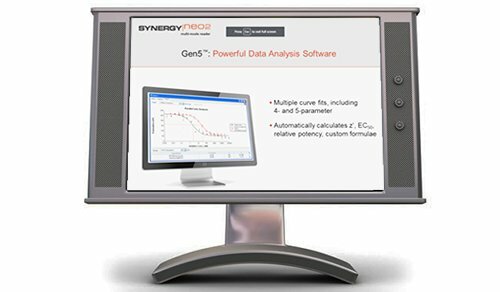 Cellular analysis parameters and advanced analysis parameters are set to optimize identification of each cell for accurate cell counts. 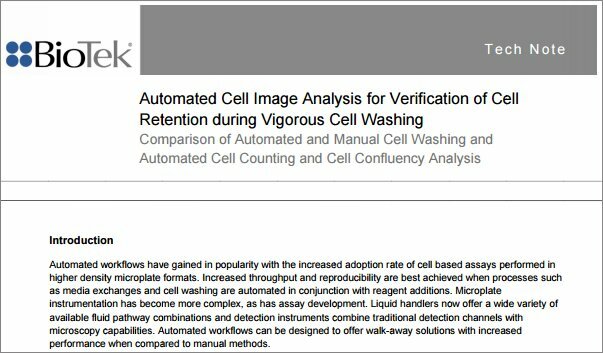 Label-free methods of measuring cell growth kinetics are preferable over the use of stains that can influence proliferation rates. Although confluence level can be used for some applications, cell counting is the most direct quantitative measure of cell proliferation over a broad range of cell population densities (Figure 3). Figure 3. High contrast brightfield cell counts over time relative to confluence. A comparison of NIH3T3 direct cell counts and percent confluence over time demonstrate the different characteristics of the two cell growth metrics. Label free cell counts indicate robust logarithmic cell growth up to full confluence (dashed line). NIH3T3, HeLa, and HCT116 cells were seeded at low densities and incubated in a BioSpa 8 for five days. High contrast brightfield cell counts were used to define proliferation profiles for each cell type (Figure 4). All cells exhibited robust logarithmic growth under these conditions up to full confluence. Figure 4. Label-free direct cell count profiles for NIH3T3, HeLa and HCT116. Cells were imaged every 2 hours and culture growth was monitored for 5 days or until cell counts plateaued. 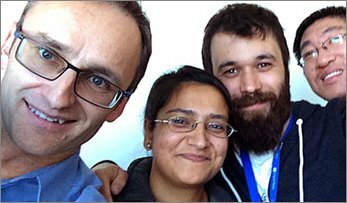 Kinetic cell proliferation studies enable quantitative evaluation of cancer therapeutics. Doxorubicin is an anthracycline antitumor antibiotic that interrupts cell division by intercalating DNA and inhibiting macromolecular biosynthesis[4, 5]. It is commonly used in the treatment of a broad range of cancers. Cercosporamide is a MAPKinteracting kinase (Mnk) that is a potent and selective inhibitor of the translation initiation factor 4E (elF4E). Recent studies have reported cercosporamide inhibits malignant tumor outgrowth, including HCT116 colon carcinoma xenograft tumors[6, 7]. To explore the effect of doxorubicin and cercosporamide on NIH3T3, HeLa and HCT116 proliferation, cells were treated with eight drug concentrations in a 96-well fomat and monitored for five days (Figure 5). Kinetic cell proliferation profiles demonstrate the differential response to doxorubicin and cercosporamide across the three cell types (Figure 6). NIH3T3 cells were not affected by cercosporamide at any of the concentrations tested. However, proliferation of the two cancer cell types, HeLa and HCT116, was inhibited by 10 μM cercosporamide. Treatment with doxorubicin resulted in the dose-dependent inhibition of NIH3T3, HeLa and HCT116 cell proliferation. Quantitative analysis of the effect of doxorubicin treatment over time was provided by determining IC50 values using the area under the curve (AUC) from each proliferation profile (Figure 7). HCT116 had the highest sensitivity to doxorubicin, followed by HeLa and NIH3T3, with 4 nM, 5.1 nM, and 20.5 nM IC50 values, respectively. Figure 5. 96-well microplate matrix of HeLa cell proliferation over 5 days. Eight concentrations of doxorubicin and cercosporamide (4 replicates each) were tested alongside negative controls. Figure 6. NIH3T3, HeLa and HCT116 cell proliferation profiles enable quantitative analysis of drug response. Cell counts per mm2 were calculated every 2 hours for 5 days or until cells reached full confluence. Profiles from 5 drug concentrations demonstrate a cell type-dependent differential dose response. Figure 7. Measuring dose-dependent inhibition of cell proliferation by doxorubicin. 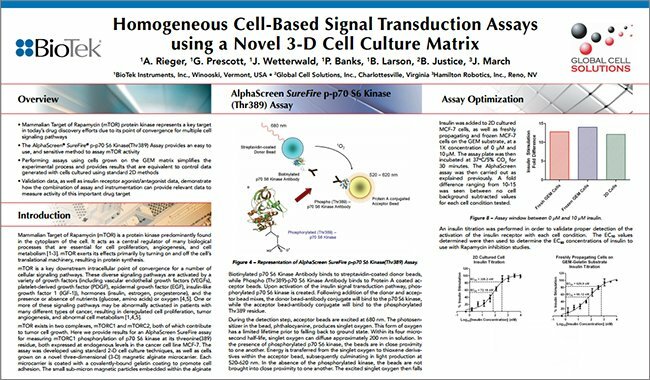 AUC of cell count per mm2 proliferation profiles were used to calculate IC50 values. To further examine the effects of doxorubicin treatment, experiment videos (video 1, video 2) were used to conduct a qualitative evaluation of each cell type at inhibitory concentrations of the drug. 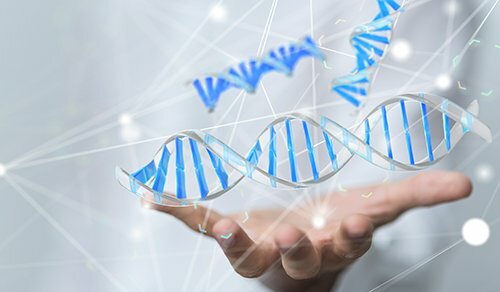 A significant decrease in NIH3T3 cell numbers was observed within 36 hours at 10 nM doxorubicin, however no obvious signs of apoptosis were present. These findings indicate that at this concentration doxorubicin inhibits cell division without causing overt cytotoxicity. 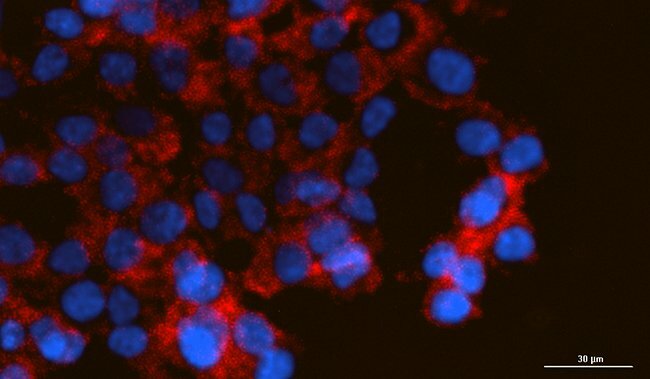 In contrast, NIH3T3 cells treated with 1 μM doxorubicin exhibited considerable cytotoxicity and signs of apoptosis within 24 hours (Figure 8). Figure 8. Qualitative analysis of kinetic cell proliferation provides valuable insight into phenotypic response to drug treatment. NIH3T3 proliferation images 36 hours after treatment with indicated concentration of doxorubicin. At 10 nM doxorubicin cell division is inhibited without causing overt cytotoxicity. At 100 nM and higher concentrations signs of cytotoxicity are evident. 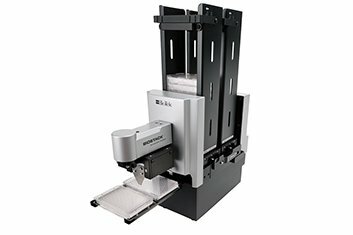 Coupling the cell-handling abilities of the BioSpa™ 8 with the imaging capabilities of the Cytation™ 5 provides a fully automated system to conduct accurate and reproducible long-term proliferation studies. 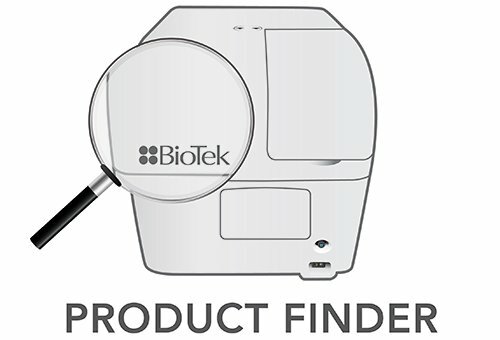 High contrast brightfield cell counting enables quantitative analysis of cell growth without the need for disruptive labels. 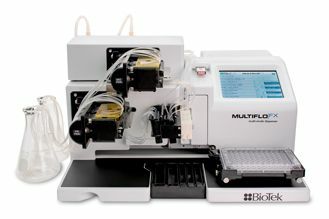 In addition to quantitative measures, this system can be used to conduct qualitative analysis of cell phenotypes over time to further characterize drug treatment response or conduct targeted gene disruption studies. 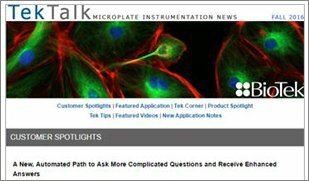 Proliferation assays can be run in 96- or 384-well microplates for medium- to high-throughput screening. 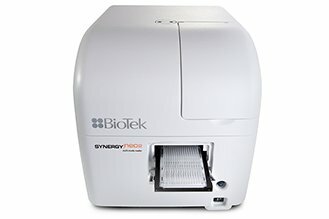 Together, the BioSpa 8 and Cytation 5, along with the powerful Gen™ 5 image analysis tools, provide an elegant and robust solution for a broad range of kinetic cell proliferation applications. Drey, L.L., M.C. Graber, and J. Bieschke, Counting unstained, confluent cells by modified bright-field microscopy. Biotechniques, 2013. 55(1): p. 28-33. 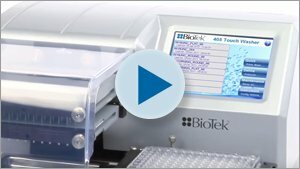 Paul Held, J.C., Peter Banks, High Contrast Brightfield: Enabling microplate-based automated label-free cell counting BioTek Resources, 2016. 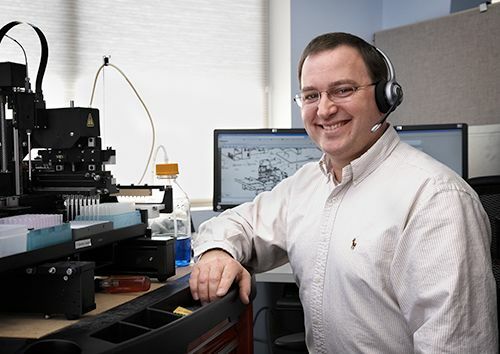 Joe Clayton, P.B., A Guide to Label-free Cell Counting using High Contrast Brightfield. 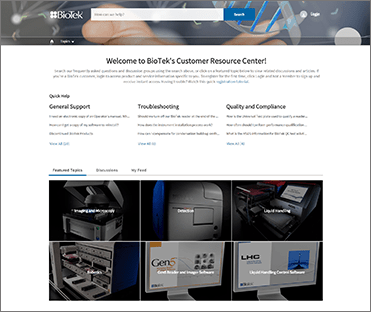 BioTek Resources 2016. Tacar, O., P. Sriamornsak, and C.R. Dass, Doxorubicin: an update on anticancer molecular action, toxicity and novel drug delivery systems. 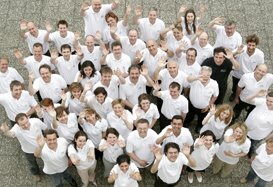 J Pharm Pharmacol, 2013. 65(2): p. 157-70. Fornari, F.A., et al., Interference by doxorubicin with DNA unwinding in MCF-7 breast tumor cells. Mol Pharmacol, 1994. 45(4): p. 649-56. Konicek, B.W., et al., Therapeutic inhibition of MAP kinase interacting kinase blocks eukaryotic initiation factor 4E phosphorylation and suppresses outgrowth of experimental lung metastases. Cancer Res, 2011. 71(5): p. 1849-57. Altman, J.K., et al., Inhibition of Mnk kinase activity by cercosporamide and suppressive effects on acute myeloid leukemia precursors. Blood, 2013. 121(18): p. 3675- 81.